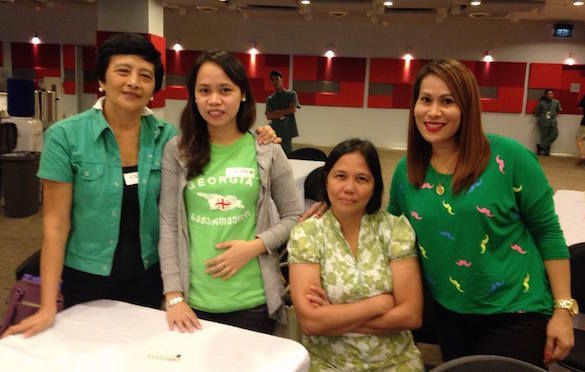 Emmie Victorio of Victory Greenhills has a special burden to reach women in prison. Learn how God placed this burden in her, and be encouraged to pursue God and His ways! Jesus calls each of us to go and make disciples . In my case, I felt God calling me to preach the gospel to those in prison. This started many years ago, when I visited an outreach in one of the women’s jails in Manila. 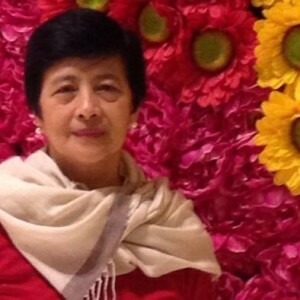 I saw women young and old there, and I felt a great deal of compassion towards them. They wouldn’t be where they were if they heard about who Jesus is, I thought, then I realized that it wasn’t too late for me to let them know who He was. The more I read God’s Word, the more I fell in love with Him, and the more aware I became of His love for me. I saw how good and kind He is. So when I realized the Bible tells us we show our love to Christ when we feed the hungry, clothe the naked, and visit those in prison, I saw that people are what are important to Him. He loves all of us, and I want for people to know what that’s like. I want people to know how God is like. 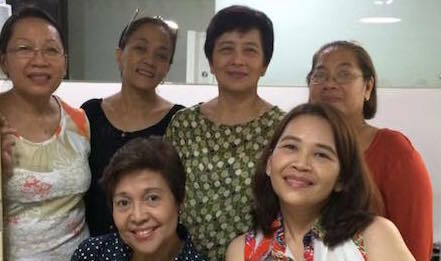 Aside from preaching the gospel in San Juan’s correctional facility for women, Emmie (first from left) leads a Victory group of women every Wednesday. Since I live in San Juan, I decided to do ministry in the correctional facility in my city. God’s been faithful to grant me favor there, and I’ve been ministering to the detainees there for the past seven years. I’ve been doing ONE 2 ONE with the women inside the jail; I also hold a Victory group there every Monday morning. I’ve also had an opportunity to disciple some of the jail guards. Some of the women I’ve discipled have been released from jail, and they are now attending church and making disciples as well. More than that, I’m happy to share that they are walking in God’s ways. Some of them still remain inside the facility, but have their lives changed. One of them, Maya*, has now started her own Victory group inside jail. Jesus did not come to serve, but be served—and I believe that applies to us as well. We have to trust that He brings the change in people’s lives. When we are filled with His Spirit, He will use us mightily! As long as there’s someone out there who doesn’t know Him yet, we need to be ready and available to preach the gospel to them. After all, it’s His will for each of us to be saved! Emmie (in green) also leads a Victory group of seniors in her home church.